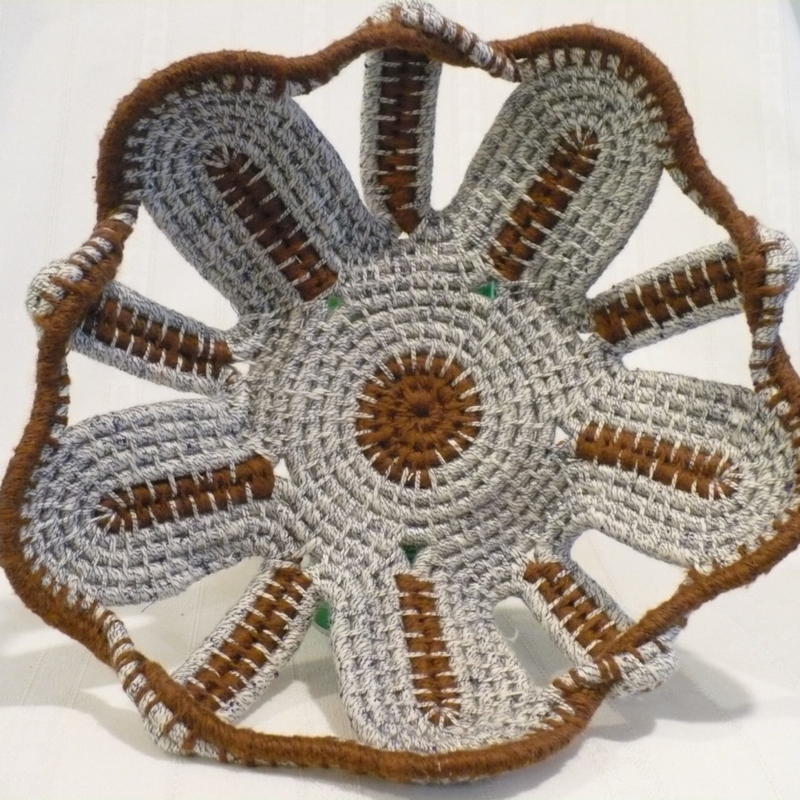 Coiled Fiber Baskets made in the style of Native American and South Carolina Gullah baskets. 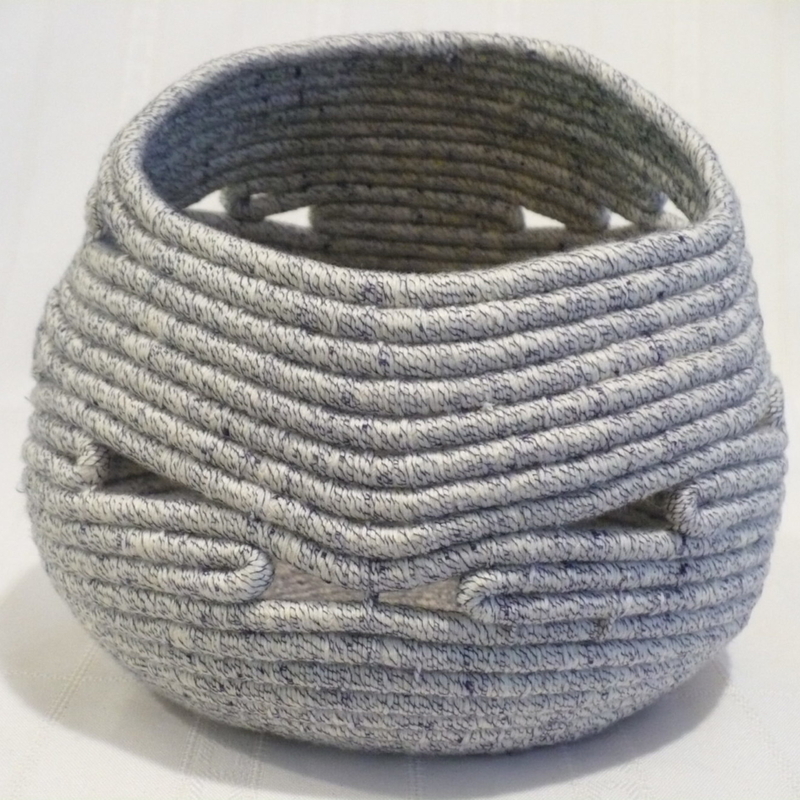 Made with cotton cord and a variety of natural and mixed fiber yarns. 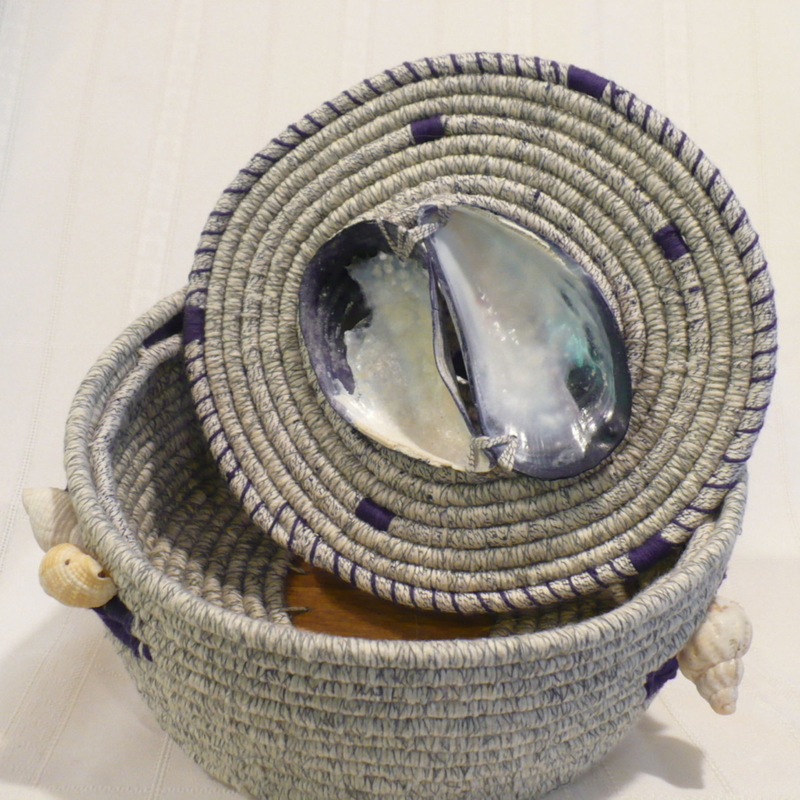 Embellishments include Maine sea shells, wooden, glass and natural stone beads. 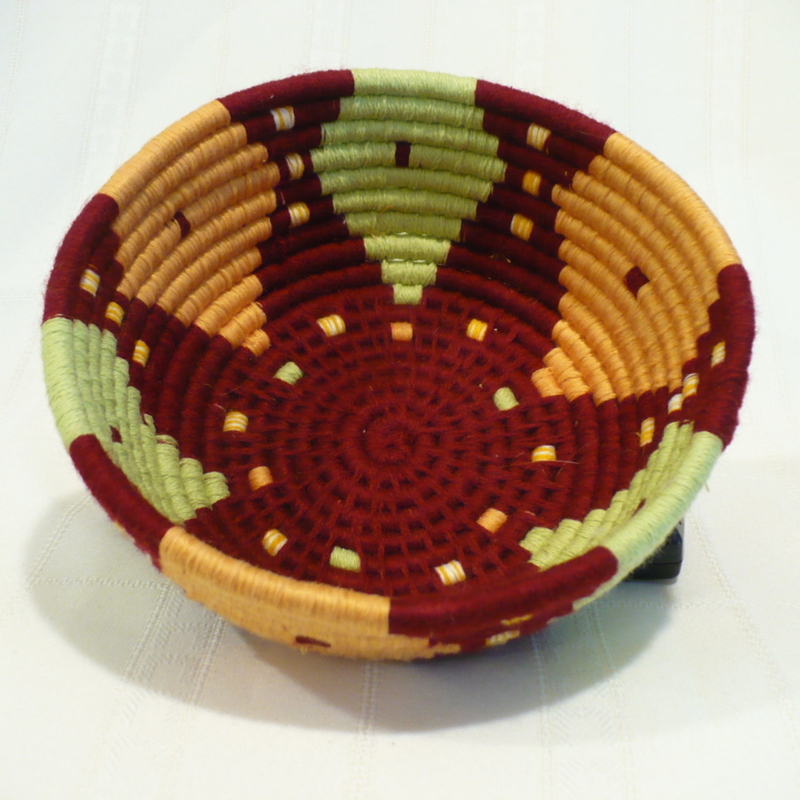 Each basket is designed by me and one of a kind.